SportsFix, ASEAN's leading mobile-centric over-the-top (OTT) streaming platform, has partnered with Football Tribe to cater to the demand for localized sports content for fans in the region. 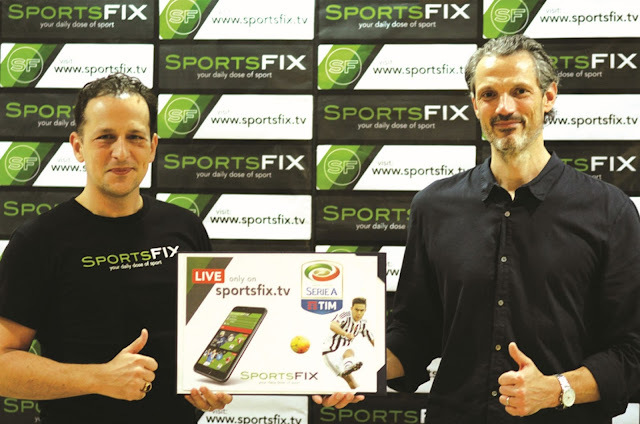 SportsFix, a Malaysian-based company, has been moving steadily in recent months having secured broadcast rights to top football leagues in ASEAN and most recently announced the acquisition of the Italian Serie A distribution rights. The partnership with Football Tribe is a strategic move to complement the live content offering for the fans. “We are a passionate team here at SportsFix as we are always looking at ways to give the best LIVE experience to our ASEAN sports fans. With this in mind, it makes perfect sense to have this partnership with Football Tribe which has the same vision in addressing the always-growing demand for sports consumption in the region,” said Carl Kirchhoff, CEO of SportsFix. “We are extremely excited to bring back the Italian Serie A TIM to Malaysia as exclusive broadcasters. It is still one of the most prestigious leagues in Europe and currently the only European premium league, which is still not decided yet. This should guarantee a lot of excitement until the end of this season”, added Carl Kirchhoff. SportsFix, which kicked off their LIVE video offering on www.sportsfix.tv in August 2017, will be working closely with Football Tribe’s experienced writing staff to provide fans with match previews and analysis to supplement SportsFix's live and VOD coverage. “As an Italian it's always exciting to help expose Italian football to Asian fans,” said Football Tribe president Cesare Polenghi, one of Japan’s top Serie A football pundits. “We look forward to introducing Malaysian fans to the Serie A, which is at this point in the season perhaps Europe's most exciting domestic league,” added Cesare Polenghi. Besides Serie A, SportsFix has already signed agreements with top local leagues in the region namely Indonesia’s Liga 1, Chinese Super League, K-League and Thai Premier League which can be viewed LIVE on www.sportsfix.tv. Also in the mix on SportsFix is the Bangladesh Premier League Cricket, MMA, kickboxing and Philippines Basketball Leagues.